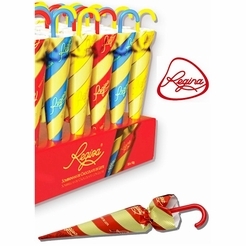 Gonsalves Sugar Coated Almonds 12 oz. 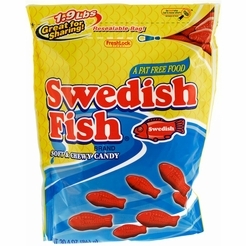 Home / For Kids Only / Kids Sweets & Snacks / Nostalgic & Old Fashioned Candy Favorites / Gonsalves Sugar Coated Almonds 12 oz. Home / Pantry Items / Snacks & Sweets / Nostalgic & Old Fashioned Candy Favorites / Gonsalves Sugar Coated Almonds 12 oz. Home / New England Classics / Snacks & Sweets / Nostalgic & Old Fashioned Candy Favorites / Gonsalves Sugar Coated Almonds 12 oz. Home / Foods of New England / Snacks & Sweets / Nostalgic & Old Fashioned Candy Favorites / Gonsalves Sugar Coated Almonds 12 oz. Home / Snacks & Sweets / Nostalgic & Old Fashioned Candy Favorites / Gonsalves Sugar Coated Almonds 12 oz. 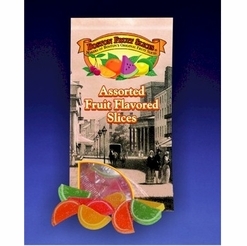 Home / Specialty Grocery / Snacks & Sweets / Nostalgic & Old Fashioned Candy Favorites / Gonsalves Sugar Coated Almonds 12 oz. Home / Pantry Items / Snacks & Sweets / Brands Candy & Snack Favorites / Gonsalves Candy & Nuts / Gonsalves Sugar Coated Almonds 12 oz. Home / New England Classics / Snacks & Sweets / Brands Candy & Snack Favorites / Gonsalves Candy & Nuts / Gonsalves Sugar Coated Almonds 12 oz. Home / Foods of New England / Snacks & Sweets / Brands Candy & Snack Favorites / Gonsalves Candy & Nuts / Gonsalves Sugar Coated Almonds 12 oz. Home / Snacks & Sweets / Brands Candy & Snack Favorites / Gonsalves Candy & Nuts / Gonsalves Sugar Coated Almonds 12 oz. Home / Specialty Grocery / Snacks & Sweets / Brands Candy & Snack Favorites / Gonsalves Candy & Nuts / Gonsalves Sugar Coated Almonds 12 oz. Home / Popular Brands / Gonsalves / Gonsalves Candy & Nuts / Gonsalves Sugar Coated Almonds 12 oz. Home / Foods of New England / Brands (New England Favorites) / Gonsalves / Gonsalves Candy & Nuts / Gonsalves Sugar Coated Almonds 12 oz. Home / Pantry Items / Meats & Seafood / Meat & Refrigerated Food Brands / Gonsalves / Gonsalves Candy & Nuts / Gonsalves Sugar Coated Almonds 12 oz. Home / New England Classics / Meats & Seafood / Meat & Refrigerated Food Brands / Gonsalves / Gonsalves Candy & Nuts / Gonsalves Sugar Coated Almonds 12 oz. Home / Hot GIFT Ideas / Gifts For Him / Meats & Seafood / Meat & Refrigerated Food Brands / Gonsalves / Gonsalves Candy & Nuts / Gonsalves Sugar Coated Almonds 12 oz. Home / Foods of New England / Meats & Seafood / Meat & Refrigerated Food Brands / Gonsalves / Gonsalves Candy & Nuts / Gonsalves Sugar Coated Almonds 12 oz. Home / Meats & Seafood / Meat & Refrigerated Food Brands / Gonsalves / Gonsalves Candy & Nuts / Gonsalves Sugar Coated Almonds 12 oz. Home / Specialty Grocery / Meats & Seafood / Meat & Refrigerated Food Brands / Gonsalves / Gonsalves Candy & Nuts / Gonsalves Sugar Coated Almonds 12 oz. Home / Hot GIFT Ideas / Gifts For Him / Party Favorites / Meats & Seafood / Meat & Refrigerated Food Brands / Gonsalves / Gonsalves Candy & Nuts / Gonsalves Sugar Coated Almonds 12 oz. 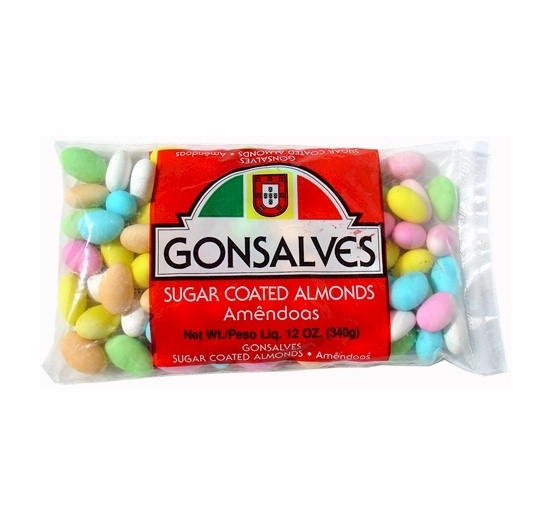 Home / Local Portuguese Foods / Portuguese Brands / Gonsalves / Gonsalves Candy & Nuts / Gonsalves Sugar Coated Almonds 12 oz. Home / Pantry Items / Global Favorites / Local Portuguese Foods / Portuguese Brands / Gonsalves / Gonsalves Candy & Nuts / Gonsalves Sugar Coated Almonds 12 oz. Home / Specialty Grocery / Global Favorites / Local Portuguese Foods / Portuguese Brands / Gonsalves / Gonsalves Candy & Nuts / Gonsalves Sugar Coated Almonds 12 oz. Home / Pantry Items / Hometown Food Favorites / Global Favorites / Local Portuguese Foods / Portuguese Brands / Gonsalves / Gonsalves Candy & Nuts / Gonsalves Sugar Coated Almonds 12 oz. 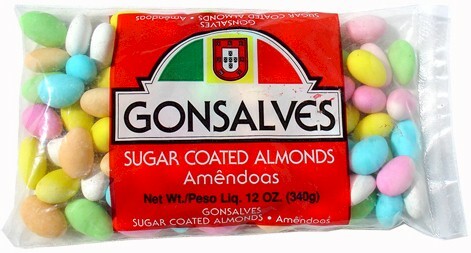 Home / New England Classics / Hometown Food Favorites / Global Favorites / Local Portuguese Foods / Portuguese Brands / Gonsalves / Gonsalves Candy & Nuts / Gonsalves Sugar Coated Almonds 12 oz. Home / Foods of New England / Hometown Food Favorites / Global Favorites / Local Portuguese Foods / Portuguese Brands / Gonsalves / Gonsalves Candy & Nuts / Gonsalves Sugar Coated Almonds 12 oz. Home / Specialty Grocery / Hometown Food Favorites / Global Favorites / Local Portuguese Foods / Portuguese Brands / Gonsalves / Gonsalves Candy & Nuts / Gonsalves Sugar Coated Almonds 12 oz. Home / Foods of New England / Local Portuguese Foods / Portuguese Brands / Gonsalves / Gonsalves Candy & Nuts / Gonsalves Sugar Coated Almonds 12 oz. Home / Pantry Items / Snacks & Sweets / Nuts & Seeds / Gonsalves Sugar Coated Almonds 12 oz. Home / New England Classics / Snacks & Sweets / Nuts & Seeds / Gonsalves Sugar Coated Almonds 12 oz. Home / Foods of New England / Snacks & Sweets / Nuts & Seeds / Gonsalves Sugar Coated Almonds 12 oz. Home / Snacks & Sweets / Nuts & Seeds / Gonsalves Sugar Coated Almonds 12 oz. Home / Specialty Grocery / Snacks & Sweets / Nuts & Seeds / Gonsalves Sugar Coated Almonds 12 oz. Home / For Kids Only / Kids Sweets & Snacks / Nuts & Seeds / Gonsalves Sugar Coated Almonds 12 oz. Home / Hot GIFT Ideas / Holiday Entertaining / Nuts & Seeds / Gonsalves Sugar Coated Almonds 12 oz. Home / Pantry Items / Fruit & Nuts / Nuts & Seeds / Gonsalves Sugar Coated Almonds 12 oz. Home / Specialty Grocery / Fruit & Nuts / Nuts & Seeds / Gonsalves Sugar Coated Almonds 12 oz. Home / Local Portuguese Foods / Portuguese Snacks & Candy / Gonsalves Sugar Coated Almonds 12 oz. Home / Pantry Items / Global Favorites / Local Portuguese Foods / Portuguese Snacks & Candy / Gonsalves Sugar Coated Almonds 12 oz. Home / Specialty Grocery / Global Favorites / Local Portuguese Foods / Portuguese Snacks & Candy / Gonsalves Sugar Coated Almonds 12 oz. Home / Pantry Items / Hometown Food Favorites / Global Favorites / Local Portuguese Foods / Portuguese Snacks & Candy / Gonsalves Sugar Coated Almonds 12 oz. Home / New England Classics / Hometown Food Favorites / Global Favorites / Local Portuguese Foods / Portuguese Snacks & Candy / Gonsalves Sugar Coated Almonds 12 oz. Home / Foods of New England / Hometown Food Favorites / Global Favorites / Local Portuguese Foods / Portuguese Snacks & Candy / Gonsalves Sugar Coated Almonds 12 oz. Home / Specialty Grocery / Hometown Food Favorites / Global Favorites / Local Portuguese Foods / Portuguese Snacks & Candy / Gonsalves Sugar Coated Almonds 12 oz. 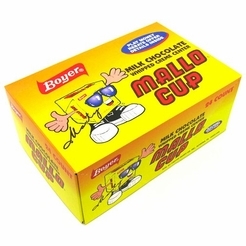 Home / Foods of New England / Local Portuguese Foods / Portuguese Snacks & Candy / Gonsalves Sugar Coated Almonds 12 oz. 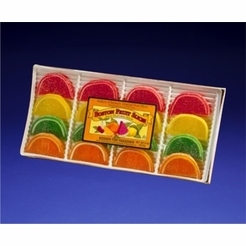 Boston Fruit Slices Variety Pack 8 oz.